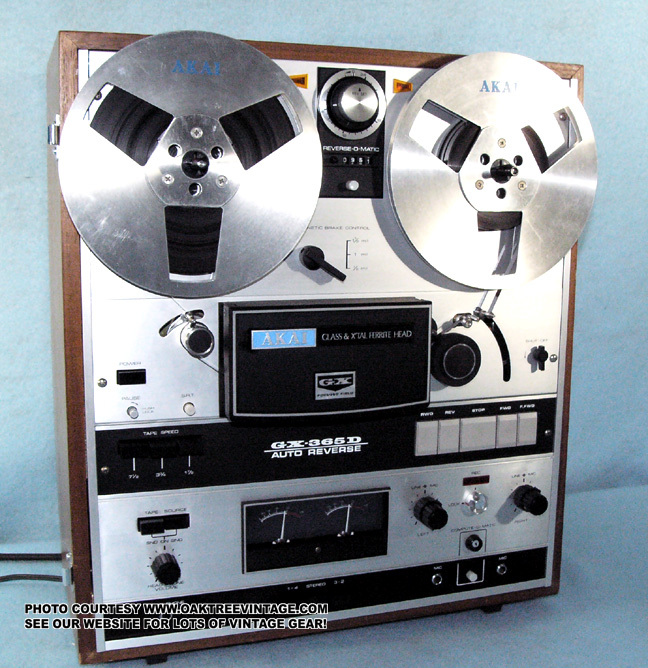 Akai Stereo Parts / Spares for Vintage gear. 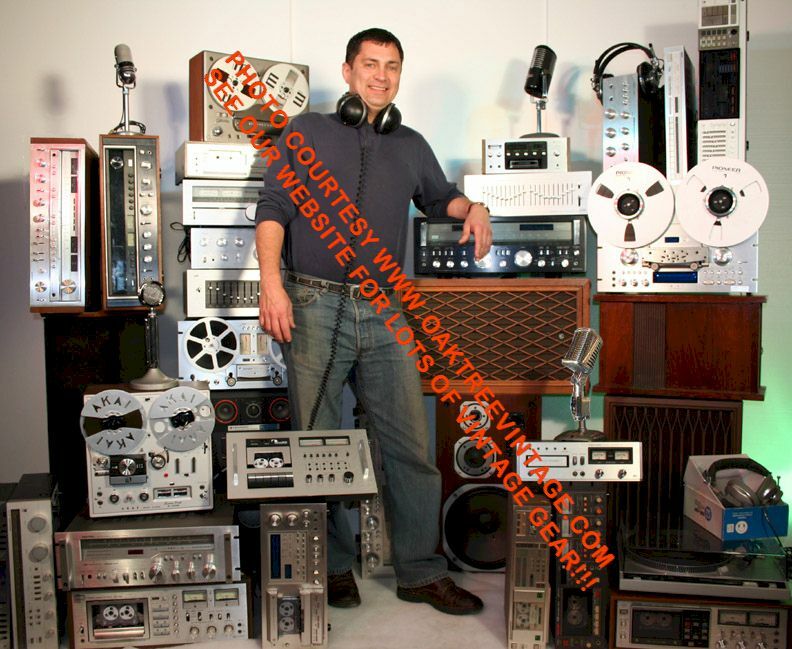 Akai Stereo / Audio Parts & spares for reference and occasionally for sale. 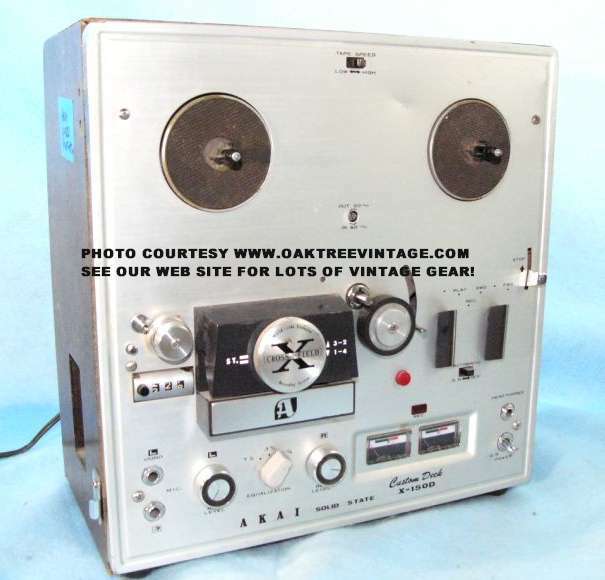 Akai AA Receivers AA-R41, GX and X series Reel to Reel Tape Deck parts, X-1800-SD, GX-220D / GX220D, GX-280D SS 280DSS X-150D, Akai 8-Track CR-80DSS parts, cassette deck parts for models F51 GXC-735D. Knobs / Caps / Buttons / Covers, �Volume�, round knobs - $25. ea. Knobs / Caps / Buttons / Covers, �Volume�, �Balance�, �Bass�, �Treble�, round knobs - $20. ea. Caps / Buttons, �Push� button 'CAPS' for 'Speakers A or B', 'Tone Defeat', 'Subsonic', 'Tuning Mode', 'Mode', 'FM 25us' OR 'Loudness' - $15. ea. Caps / Buttons, �Push� button 'CAPS' for 'Input Selector Switches' 'AM', 'FM�, 'PHONO', or 'AUX' (caps sold separately) - $20. ea. Caps / Buttons, �Push� button 'CAPS' for 'Tape Monitor' (caps sold separately) - $25. ea. Caps / Buttons, �Push� button 'CAPS' for 'Station Presets' - $15. ea. Switches / Selectors, 'Speaker Switch' PCB, 4631920 (less headphone jack and speakers switches which are sold separately) - $35. ea. Switch, Power Switch TV-5 / 5DU3P on circuit board 4631910 - $30. Control Potentiometer / Control, Volume Control Pot, VR501 / VR502 / 250k x2- $45. Control Potentiometer / Control, �Bass�, Treble�, control pots, VR507 / VR508 & VR505 / VR506 Noble 2X100k - $30. ea. Control Potentiometer / Control, Balance VR503 / VR504 250k-HB - $30. ea. Transformer, Power supply Transformer T-1-439 / 76C-508 - $55. Capacitors, Power supply filter caps, Nippon 63v / 4700uf - $20. ea. Transistors, Power amplifier Outputs (2x 2SB663 & 2x 2SD1148) - $20. ea. Relay, 323D024 - $25. ea. Circuit Board, �Equalizer / Amp� PCB circuit assembly, 4613080 with transistors: 2SA970, 2SA992, 2SC1845, and balance of capacitors and resistors - $35. Circuit Board, �Switch / Tact� circuit board 4613150 includes 'tact / momentary' switches (less caps / buttons) -$35. Circuit Board, �LED / Signal Strength� circuit board 4613160 includes LED's -$35. 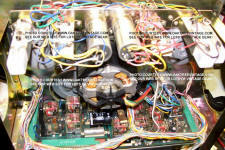 Circuit Board, �Power Level� circuit board 4613090 includes LED's -$35. Circuit Board, �LED Drive PCB� circuit board also #4613090 includes LED's w/ IC; Sanyo LB1409 and balance of resistors, capacitors, variable resistors and diodes (not including 'Power switch') -$35. Circuit Board, �Main amp� circuit board assembly containing power supply circuits, 4631900 with transistors: 2SA1015, 2SB646, 2SB647, Hitachi 2SB649, 2SC1815, 2SC1845, 2SC2240, 2SC2229, Hitachi 2SD669, 2SD667, INLINE PACK 2SK150A, IC Chip: TL4558P (less output transistors, heat sink, user controlled potentiometers / controls, switches / selectors, relays, filter capacitors) but with balance resistors, capacitors, transistors, diodes, voltage regulators, connectors, and PC mounted pots / variable resistors - $85. Circuit Board, �Tuner PCB�, circuit board, 4613140 with transistors: 2SA1015, 2SC1815, 2SD665, 2SD880, IC's; Hitachi HA12016, Mitsubishi M74LS42P, MSM4069RS, NECD4035C, NEC C1167C2, NEC uPC555H, NEC uPA53C, NEC E1315K, NEC C1167C2, Sanyo LA1245, Sanyo SL-724 / PE-2094V-1 Green LED Readout, and balance of capacitors, diodes, PC mounted 'variable resistors', adjustable transformers, tuning capacitor, connectors and resistors (less push switches) - $45. due to condition. Best for 'component level' parts. Jacks / Terminals / Connectors, RCA I/O jacks including Pre-Out / Main-In, AUX, PHONO, TAPE 2, TAPE 1 jack / connectors all mounted on circuit board 4613070 - $55. Jacks / Terminals / Connectors, �Head Phones�, - $25. Antenna, Antenna �terminal� post strip with binding posts and Coax Jack - $30. Antenna, Bracket, AM antenna bracket / socket attached to rear panel - $25. Feet, Set of 4 Feet - $20. set. 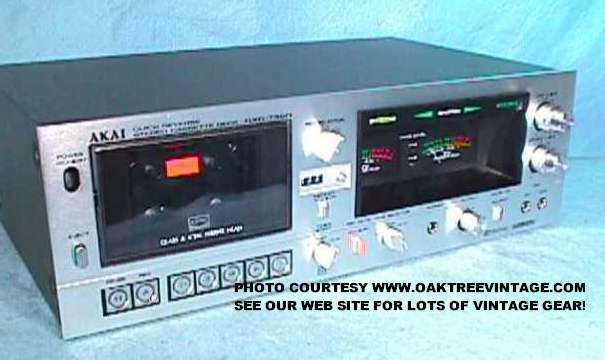 Would make a great deck and is loaded with features, however there is some distortion when recording with Dolby B or C. We discovered this after completely going through the deck cleaning and adjusting all and replacing or reconditioning all rubber. Plays great and records fine with no noise reduction. Problem only manifests itself when recording with Dolby B or C. Looks great! Face Panel (Perfect) - $40. Line / Mic Knobs - $25 each concentric pair. Tape Well window / Door - $25. VU level meters - $25 ea or $40 pair. SOLD? Head / Head-Stack / Headstack assembly - $40. SOLD? Transformer, Main Power Transformer EFT-2 'ORION' 7209 - $45. 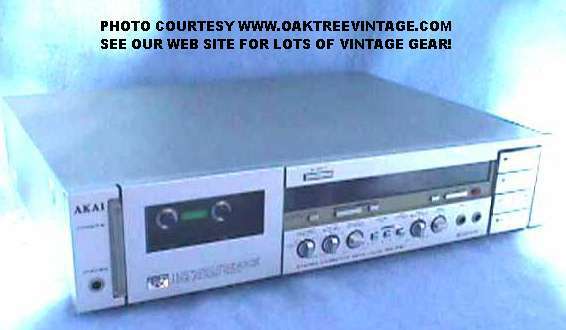 (this is only the 'spun' aluminum, silver trim cap that glues onto the top front of the Record Level Knobs) - $20. Switches, Micro Switches D0782 - $18. ea. Switches, Switch, mounted on circuit board ED-B506 - $35. ea. 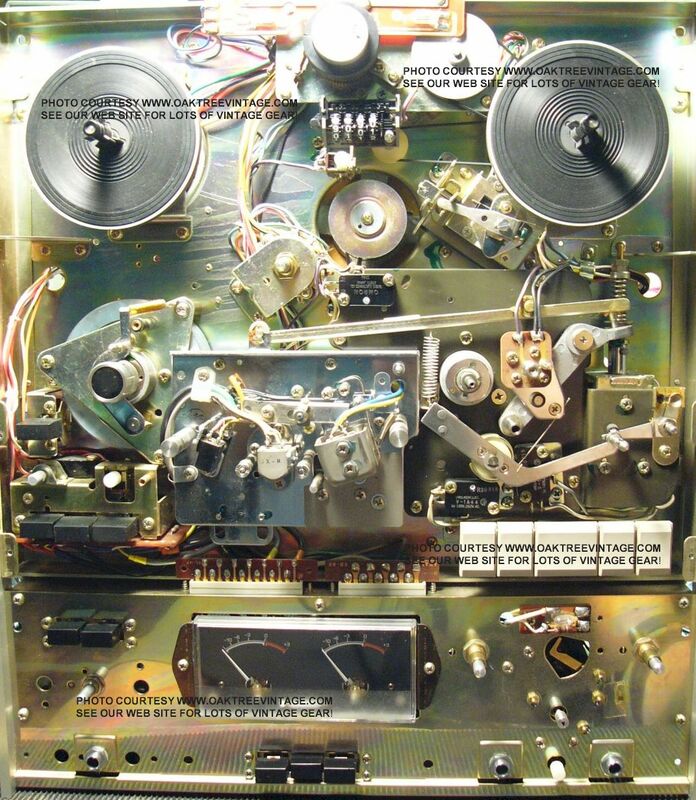 Switches, Record Switches, mounted on circuit board 5ED / TP-S30 / ED-B / 503 - $35. ea. Relay, OMRON 'Type MY4' -0-US-AD3 - $25. Relay, TECK-19 1500Ω - $25. ea. Fuse, Fuse Cap - $20. Fuse, Voltage selector plug (less fuse cap) - $25. Fuse, Voltage selector jack (less fuse cap or selector plug) - $25. Most of rest of unit has been sold. Face Panel, Main Face Plate (upper 3/4 in brushed aluminum) � VERY CLEAN - $50. Face Panel, Lower Face Plate (Lower 1/4 in black anodized aluminum) (good) - $40. Transformer, Power Transformer -MST-1-7108 - $55. Capstan / Flywheel - $35. Brake bands - $20. ea. Capacitors, (3.0�F / 1.0�F - 260 WV.AC, 2.0�F / 1.0�F - 260 WV.AC) - $18. ea. Relays - (OMRON MY2 - -0-118-AD6- -24V, MY4 - -0-US-AD8 -20V) - $35. ea. Potentiometer, Right or Left Volume / Tone pots - $30. ea. Potentiometer, Right or Left Input Record Level pots - $30. ea. Knob, Transport knobs - $35. ea. Knob, Record Level knobs - $20. ea. Knob, Equalizer knob - $15. Knob, Tape speed knob - $12. Switches, Internal Micro switches - $20. ea. Back panel / cover - $35. Tires, Internal Idler / Drive wheel / tires - $25. ea. Selector, Transport Selector assembly w/ wafer switch (less pot metal cams / dogs) - $35. Jacks, Input / Output Panels / sections - $30. ea. DIN plugs / jacks, Internal DIN plugs - $15. ea. Jacks, Headphone jack - $20. Feet, Service Bumpers / Bottom Feet - $18. ea. Springs, Any Single Spring (valued at time to extract.) Usually $20-$35 ea. Selector-Voltage, Multi-voltage selector / fuse holder (insert cap sold separately) - $45. Location: PB, South, left cab, grn, 4th drawer. Face / Panel / Plate / Front Cover, Main Face Plate � CLEAN - $65. Panel / Cover, Back panel / covers - $15. ea. Meters, VU / Level Meters - $25. ea. Reel Base / Spindles, Hub spindles (Reel Base with spindle and assembly) - $45 ea. Pinch / Pressure Roller, Rubber Pinch roller (good used, less screw and hubcap) - $35. Cover, Pinch Roller cover w/ screw $15. Potentiometer / Control, Mic / Line Pots - $25 ea. Potentiometer / Control, Input Pots - $25. Switches / Selectors, Power Switch - $30. Switches / Selectors, Equalization Selector - $35. Switches / Selectors, Slide switches $20. ea. Switches / Selectors, "Cross Field" track / head selector knob - $30. Switches / Selectors, Micro switches - $15-$25 ea. Knobs / Caps / Buttons / Covers, Mic / Line knobs (concentric / ganged) - $30. ea. ganged pr. Panel / Cover / Plate, Head Cover Plate / Panel (lower section cover) - $25. Heads, Head / Head-Stack / Headstack (perfect) - $35. ea or $65 for all on the mounting plate. Solenoid, Any internal Solenoid - $30. ea. Transformer, Power Transformer #CDT-2- $45. 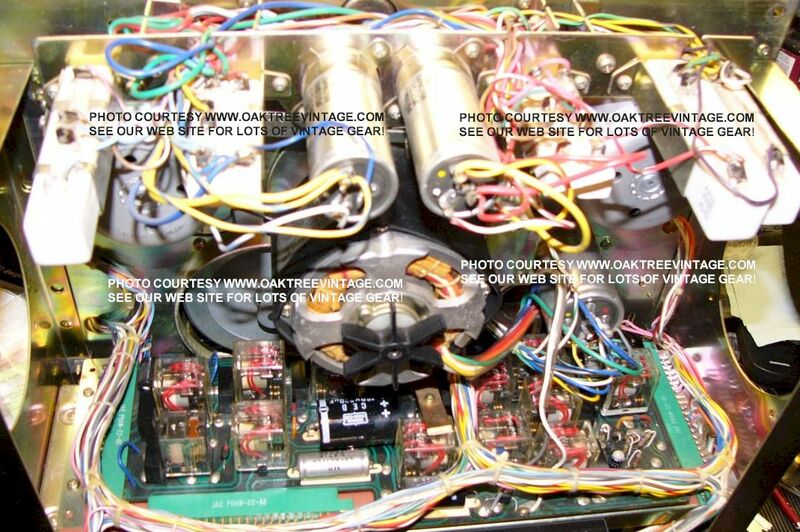 The physical disintegration of Akai reel to reel tape deck transport cams has been a known issue for years now. 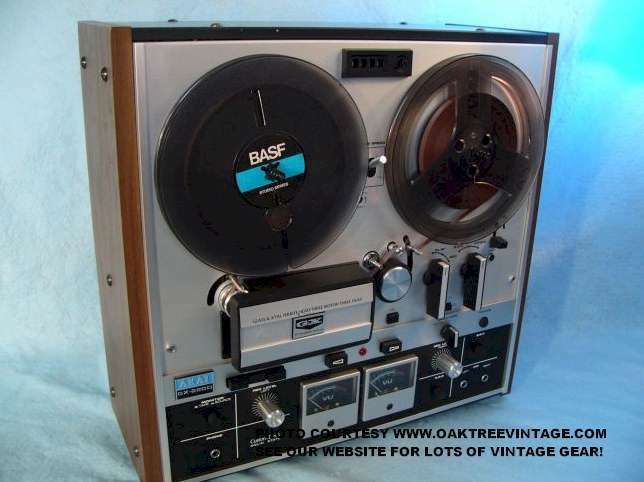 I would guess that about 60% (that means the majority) of Akai Reel to Reel tape decks we 'open up' and that utilize transports designed with 'pot-metal' cams will have their cams in some state of disintegration, anywhere from small cracks, to 'blistering', to complete 'crumbling' apart. I recently discovered that one of my customers was a specialist in die-casting and metal molding. He was able to explain to my 'why' the pot-metal parts were disintegrating. He said that 'pot-metal' has a very high 'zinc' content (as in mostly zinc) and was prone to oxidation, and that the oxidation process can happen from the 'inside-out'. He further elaborated that many / most cast metal parts are porous, and pot metal is no exception. Overtime, air (and other elements in the air) can penetrate the metal. I asked if the degree of oxidation could be environmentally dependant (location part spent substantial time), and he said very much so. In the West, such as in Colorado, where we are, most things made of metal do not oxidize (rust or corrode) so there's not much of an issue. Put those same parts in Florida for a few years, and they will likely start to blister / corrode etc. He indicated that putting a surface finish or anodizing the parts can retard or even stop the process from happening. Of course, unfortunately, due to the nature of the intended use of these parts, it wouldn't have been very effective (the parts were subjected to surface wear, which would have rendered any 'finish' ineffective after a few 'use cycles'). 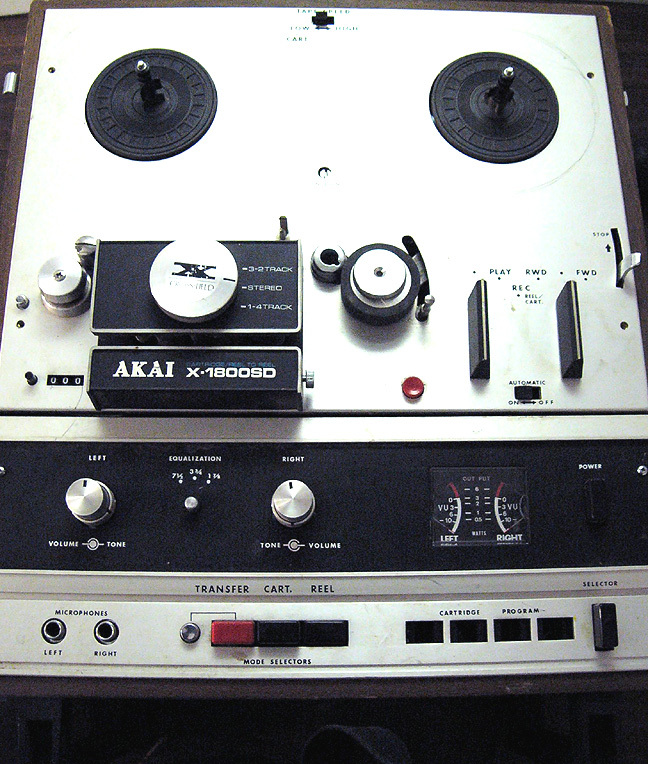 I've seen some comments about how "Akai shouldn't have used those parts' or "just shows how cheaply Akai designed their decks" or similar. 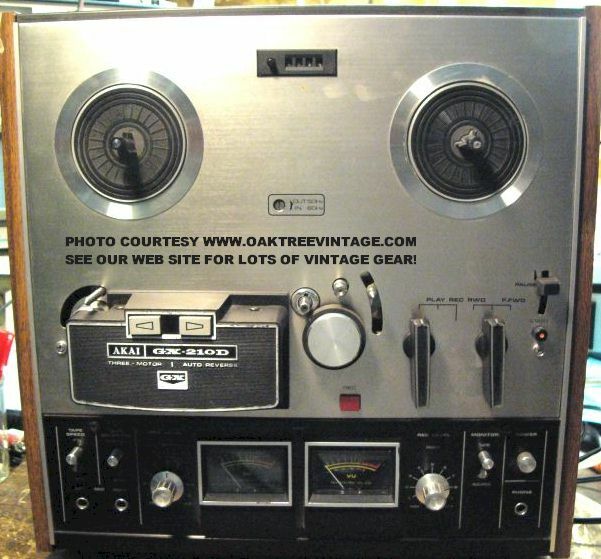 Akai built fine products and their reel to reel tape decks were no exception. 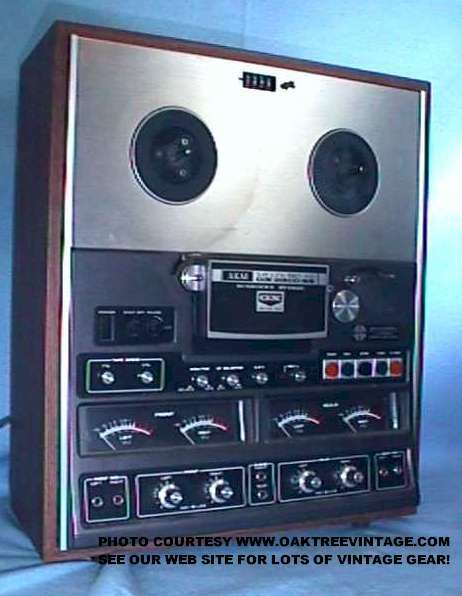 Yes, there are other decks by other manufacturers, including later model Akai's that didn't use that type of design, you don't have that potential issue when it comes to refurbishing / restoring one. 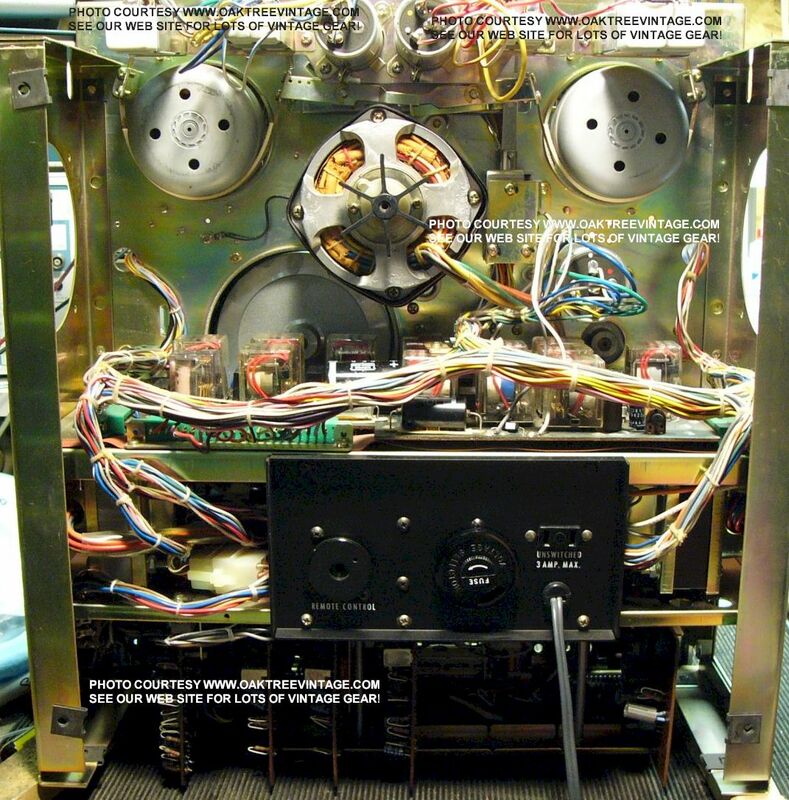 To be fair, Akai, nor any other manufacturer of consumer audio / stereo / hi-fi gear did not, and typically do not design a unit with the thinking that someone will be trying to utilize / resurrect a unit 30, 40, 50 or 60 or more years down the road. 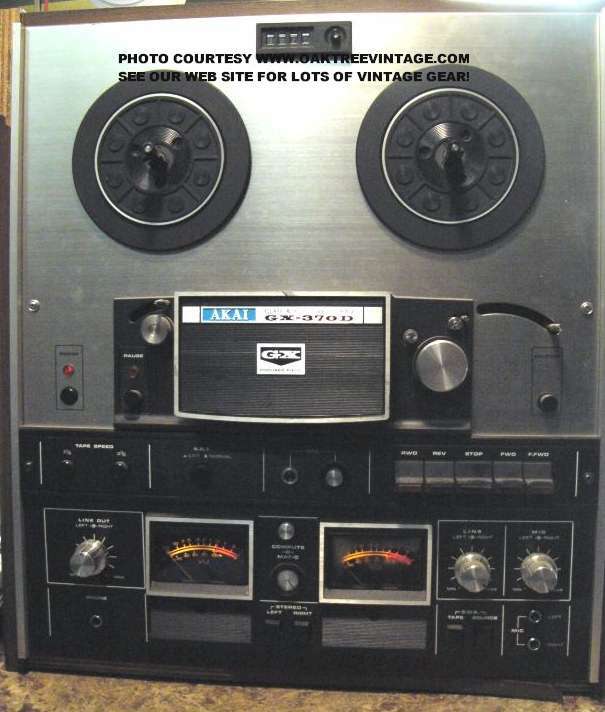 At the time of this writing, if you open up (remove the face plate) your Akai reel to reel tape deck, and you see that your transport cams are in some state of disintegration, we would not advise going any further with it's restoration. 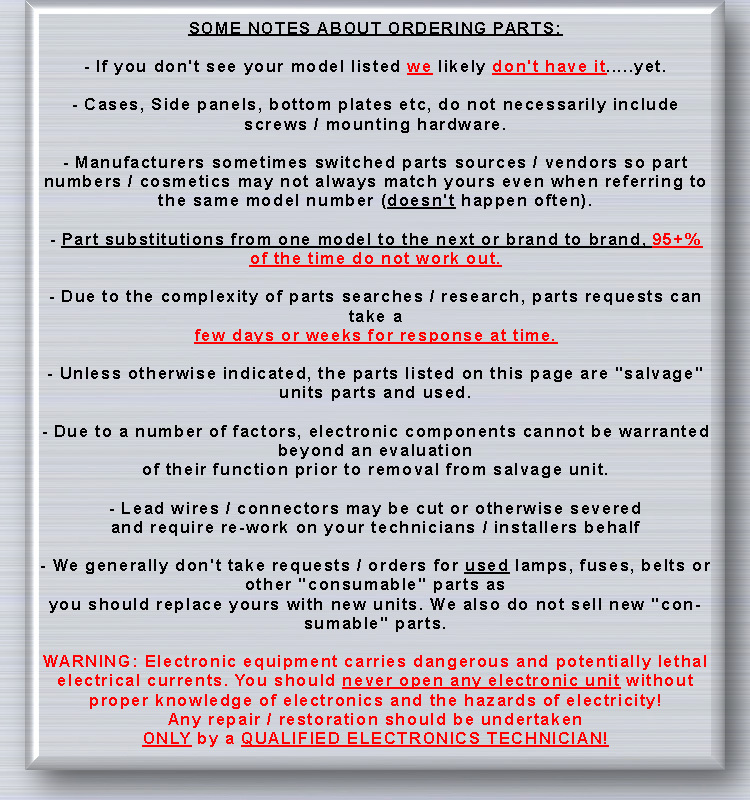 Even if you were / are able to find 'good' condition cams from a donor / parts machine, they are a challenge to install. Just FYI, there is a company in Montana that appears to have a kit of all the cams made of '3-D Printed', hard plastic. They put a 'lifetime' warranty on it, but we haven't tried it ourselves. I believe the name of the company is 'Reel Pro Sound Guys', but will check into it later. Tension Arms, Tape Tension Arm Assemblies - $25. ea. Brakes, Tape Tension brakes - $25. ea. 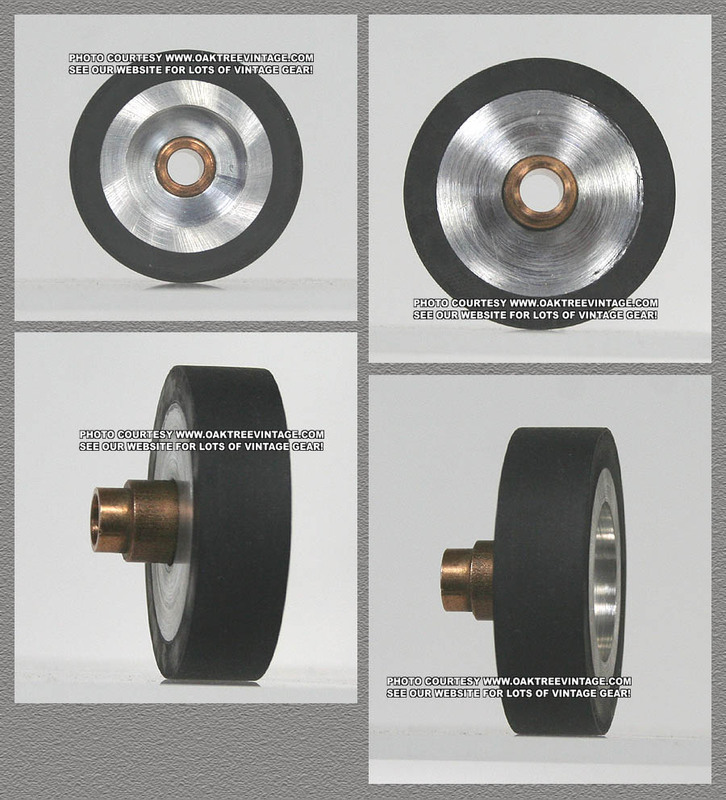 Wheels / Tires / Pulleys, Internal Idler / Drive wheel / tires - $25 ea. Fuse, Multi-voltage selector / fuse holder (with insert cap) - $45. Fuse, Multi-voltage selector / fuse holder (insert cap only) - $35. Jacks, Input / Output Panels / sections - $20. Jacks, Mic Jacks - $20. ea. Panel, Lower Face Plate (good) - $65. Panel / Cover Head Cover Top Plate / Panel - $25. Panel / Cover, Head Cover Bottom Plate / Panel - $25. Knobs / Caps / Buttons / Covers, "Cross Field" track / head selector knob - $30. Switches / Selectors, Slide switches $20 ea. Switch / Selector, Power Switch - $30. Switch / Selector, Push switches $30 ea. Switch / Selector, Micro switches - $20. ea. Switch / Selector, Transport Selector assembly w/ wafer switch - (less pot metal transport cams / dogs) - $35. Meters, Record Level Meters - $35. pr. Roller, Pinch Roller cover w/ screw $15. ea. 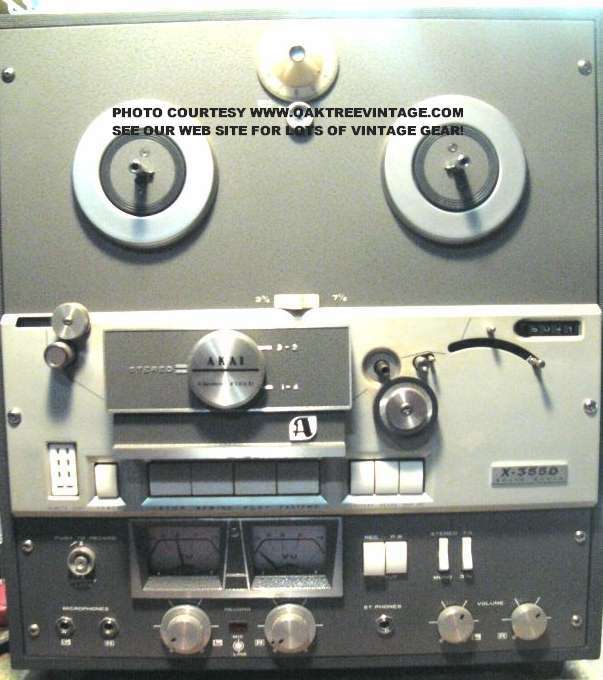 Heads, Record, Playback & Erase Heads / Head-Stack / Headstack - $65 for all on the mounting plate. Transformer, Power Transformer - $55. Relay, Omron Type MY4 / 0-US-AD3-DC 6V - $25. RC-553, Function Selector board w/ switches - $65. Transistors, Output transistors, Hitachi C1060 all 4 on Circuit board RC-590 - $35. Tires / wheels, Internal Idler / Drive wheel / tires - $25. ea. 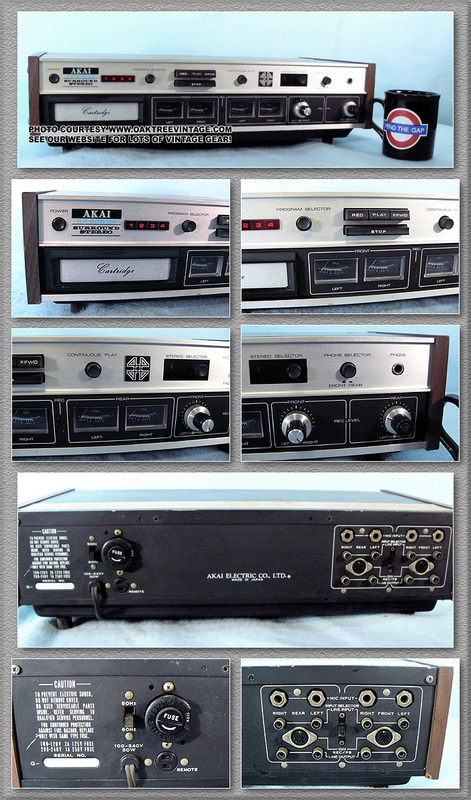 Assembly, 8-track assembly w/ heads, solenoid, but less 'relay' - $45. ea. Selector, Multi-voltage selector / fuse holder (with insert cap) - $45. Selector, Multi-voltage selector / fuse holder (insert cap only) - $35. Speakers, SK2187E, 8 Ohm, 1.5W - $20. - ea. Panel, Back panel / cover - $35. Panels, Speakers covers / flaps - $12. - ea. Springs, Any Single Spring (valued at time to extract.) Usually $20-$35. ea. Parting out. 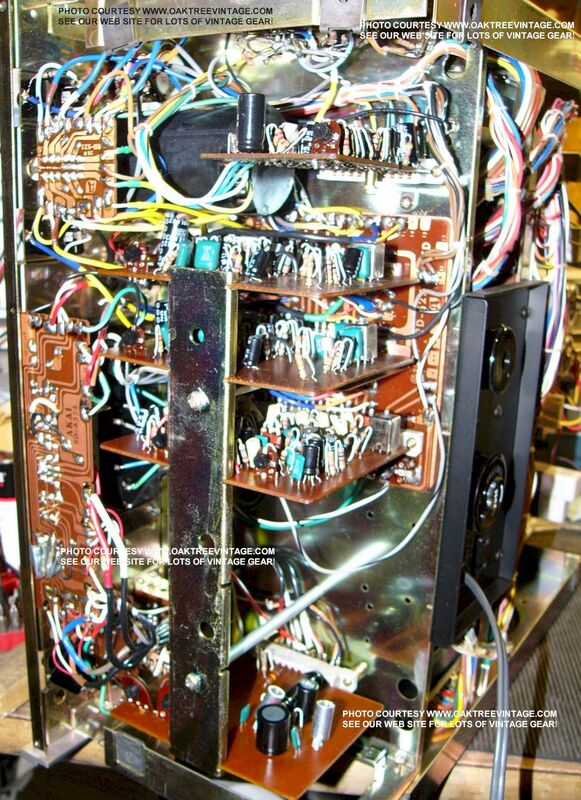 Blows main power supply fuse.